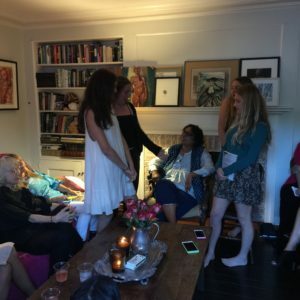 On April 11th, at the Reiss household, we were able to hold an intimate celebration for Ruchira Gupta’s new book: River of Flesh and Other Stories: The Prostituted Woman in Indian Short Fiction. With Ruchira as our special-guest, we served dinner, sold books, and were read-aloud passages from the book by Holly Konner and Rosanna Arquette (thanks guys!). Overall, we managed to raise 1,000 dollars, selling over 50 books.